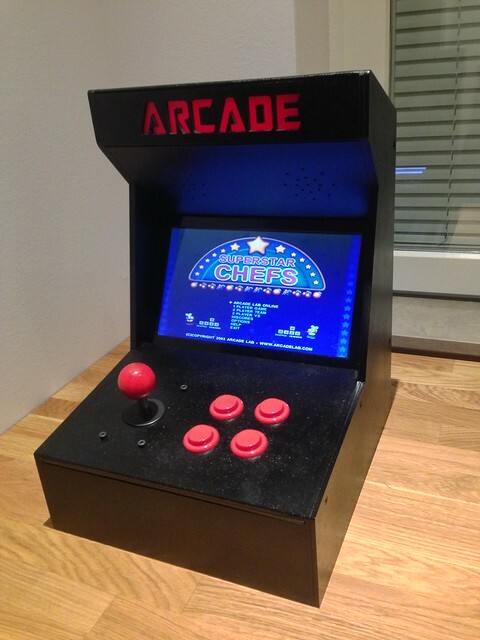 [Timothy Zandelin], a 15 years old Arduino enthusiast has sent us his first Arduino Project, an arcade interface based on Arduino Leonardo. The cabinet is made of 4mm HDF and were laser cut at “Fabriken” in Malmö. The red arcade sign in the top is produced in 5mm translucent acrylic. All design and construction drawings were made in Illustrator. I used an Arduino Leonardo to connect the joystick, buttons and the LED light. The game installed, Superstar Chefs, is an old game developed by my dad’s cousins. On the other hand, Timothy also built his own prototyping board to learn about how to use different inputs and outputs. My prototype board was made with Fritzing.